It has become a common practice in recent years for academic historians (and others moonlighting as such) to mine troves of consumer product industry documents in search of "bad" corporate behavior. Perhaps most notably, Dr. Robert Proctor, a Stanford University historian of science, dove deeply into the tobacco industry's documents and published several articles and books over recent years regarding alleged misbehavior by cigarette companies; Dr. David Egilman of Brown University has done the same with regard to the asbestos industry. These same historians also have appeared as experts for plaintiffs in product liability litigation against tobacco and asbestos defendants, and have been rewarded millions in fees for doing so. So it is no surprise that still more historians have gone fishing for something titillating in corporate documents from yet another long-established industry -- this time, sugar. 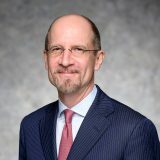 Recently, Dr. Stanton Glantz, the corresponding author from the UCSF Center for Tobacco Control Research, along with two colleagues, published the article "Sugar Industry and Coronary Heart Disease Research-Historical Analysis of Internal Industry Documents" in the journal JAMA Internal Medicine. The article asserts that the sugar industry, led by the Sugar Association, the industry's Washington, D.C.-based trade association, has improperly denied that a relationship exists between added sugar consumption and cardiovascular disease ("CHD"). The article also criticizes the sugar industry for allegedly attempting to influence the scientific debate over the dietary causes of CHD in the 1950s and 1960s by paying scientists to publish favorable articles without disclosing the sugar industry's funding or role in their creation. Dr. Glantz and his co-authors appear to be taking a page from the tobacco playbook, where very similar allegations have been made by historians regarding the tobacco companies and their public relations and lobbying arms. And if the history of tobacco litigation is any guide, Dr. Glantz's article could prompt similar claims against the sugar industry for fraud and nondisclosure, among other personal and pecuniary injury claims, and of course, could position Dr. Glantz and his colleagues to serve as potential experts. While we are aware of no cases brought directly against the sugar industry to date for personal injuries or mislabeling related to pure sugar products, analogous cases have been litigated in recent years against the food industry. For example, in 2013, a 14-year-old girl filed suit in the District Court for the Western District of New York alleging that consuming high fructose corn syrup ("HCFS") caused her to develop type 2 diabetes . The suit attempted to hold strictly liable the manufacturers of HCFS for creating an unreasonably dangerous product without warning consumers of the product's potential health risks; for negligently marketing, distributing, and testing its product; and for negligently warning and instructing its consumers. The plaintiff sought $5 million in damages. The court ultimately dismissed the plaintiff's claims in this case, citing the limited facts that the plaintiff offered to demonstrate that her consumption of HCFS was a substantial factor in causing her type 2 diabetes. Similarly, food manufacturers have also recently seen an uptick in lawsuits against them, often in the form of class actions, based on alleged mislabeling of food products, either with regard to product ingredients or product warnings. In these suits, consumers do not seek recovery for alleged personal injuries; instead, they simply "want their money back." In the case of popular products, these refunds can total millions of dollars. Earlier this year, for example, Walmart was sued for deceptive business practices relating to its marketing of Great Value brand parmesan cheese as "100% Grated Parmesan Cheese" and selling it at a premium price; testing allegedly revealed that the product contained seven to 10 percent cellulose, a product derived from wood chips. Likewise, the Greek yogurt manufacturer Chobani was sued for using the terms "evaporated cane juice" and "only natural ingredients" in the labels of its products; the plaintiffs argued not only that "evaporated cane juice" is simply sugar by another name, but also that the product contained unnatural color additives. This suit has been stayed pending the Food and Drug Administration's review of the use of the terms "natural" and "evaporated cane juice" on food product labels. Over the past several years, food manufacturers such as Ocean Spray, Ben & Jerrys, POM Wonderful, J.M. Smucker Co., and Skinnygirl, among others, have faced similar lawsuits over alleged mislabeling or deceptive labeling of their products. If claims for cardiovascular disease or other personal injuries are ultimately advanced against sugar manufacturers, however, plaintiffs face substantial challenges. Most notably, as seen in the case against producers of HFCS, plaintiffs face a major hurdle proving both general and specific causation. A plaintiff must show that either misuse or overuse of sugar is the cause-in-fact of her cardiovascular injury, and that it was not caused by one of the many other identified causes of cardiovascular diseases and conditions. Given this challenge, the sugar industry is more likely to confront "money back" claims -- alleging consumer fraud -- in which plaintiffs do not claim personal injuries, and thus need not satisfy the same burden of proving causation. Instead, a plaintiff must only allege that, had she known the risks associated with a particular product, she would not have bought or used the product as she did. And although many of the recent consumer fraud cases against food manufacturers have been dismissed at the class certification stage, the litigation trend has not dissipated. First, consider auditing current product labeling and other statements made on the official company websites, all of which plaintiffs' attorneys will study carefully for alleged "admissions against interest" and false or unsupported statements. Note also that statements made by health authorities or statements included in third-party sources of information, to which your company provides links on the company website, may be characterized by plaintiffs in litigation as "adoptive admissions" by the defendant company. Review carefully all such third-party content and consider whether you are linking to information that, in a plaintiff's hands, may be injurious. Second, the alleged improper behavior described in Dr. Glantz's article extends back decades, and many of the individuals who allegedly were involved at the time may be deceased or otherwise unavailable to testify or assist in a sugar company's defense. Working with your counsel and human resources department, consider undertaking an effort to identify the existence and whereabouts of company officials and employees from that era, who may be able to provide context and other information relevant to your defense. This is critical; plaintiffs' attorneys will be searching for the same people, and your company should get a head start and make the first contact. Finally, if litigation is filed, there will be a race with plaintiffs' attorneys to identify the field's top medical and scientific experts. Sugar companies might also consider identifying their own historians to attempt to rebut the allegations made by Dr. Glantz and his colleagues. Consider working with your counsel to identify and compile the resumes of leading candidates before any cases are filed. These precautionary steps need not be costly and will position a company to hit the ground running in the event class action or other litigation is filed. Complaint, S.F. v. Archer-Daniels-Midland Co., No. 1:13-cv-00634-WMS (W.D.N.Y. June 17, 2013).